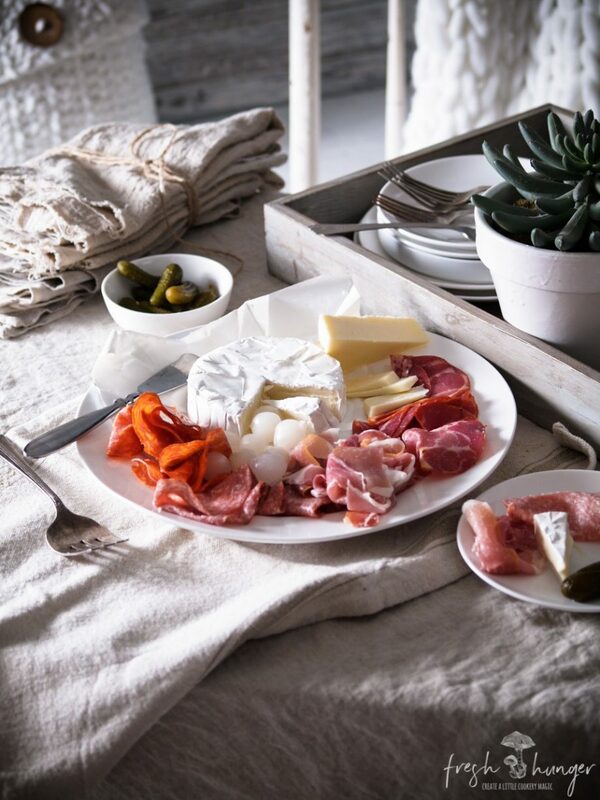 Don’t relegate the meat & cheese platter to the cocktail hour – it’s perfect as an addition to brunch too. And it certainly doesn’t have to be elaborate: choose a couple of your favorite cheeses & three to four different cold meats. 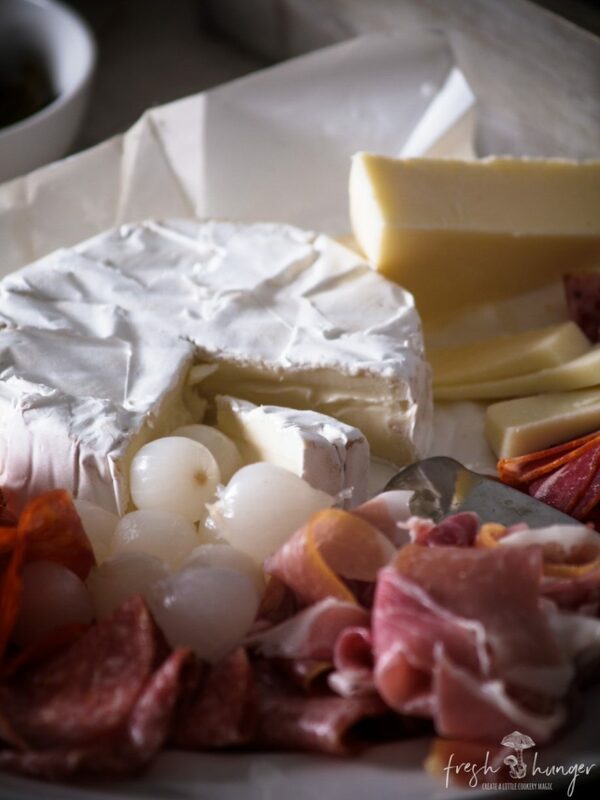 Contrasting cheeses are a good choice: such as a creamy, triple-cream Brie & a sharp, cheek-puckering cheddar. Then for the meat selection: a couple of different salamis, a hot capocollo & prosciutto. Smoked ham sliced ever so thin would be lovely as well. Then add some pickles – cornichons, pickled onions or carrots. Maybe even a chutney. The trick is to keep it as simple as possible. 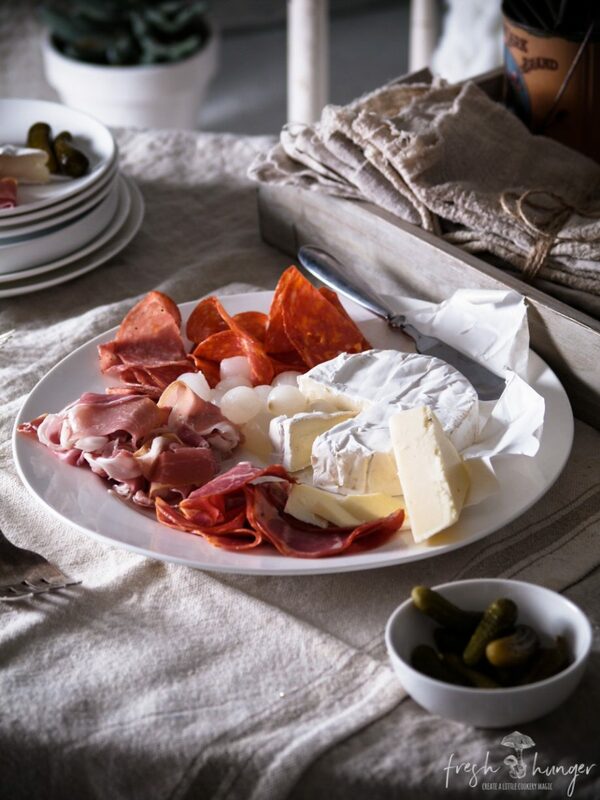 The meat & cheese platter, although meant to be part of a brunch menu, really could stand on its own with some crusty, artisan bread & a pot of good, strong coffee. Entertaining can be stressful but adding platters laden with food you’ve not had to prepare can help lessen the angst. That’s the idea anyway – being prepared of course is key. Add these make-ahead recipes to your brunch: Strawberry Croissant Pudding, Asparagus & Salmon Frittata & Tomato Goat Cheese Tarts.